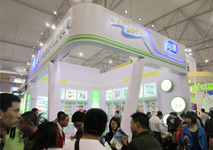 Sichuan YumeiFood Company is one of the Leading companies which focused on agriculturalindustrialization in a set of food research, production, processing, sales andcustomer services.Yumei, BabeJia and DuDu Cat are three brands under Sichuan Yumei. Yumei Food has regulatory management system,strong R & D facility, advanced technology, top sales team that ensure thegood credit of the business, the high quality of products and the well knowimage of the brand. All of these standards graduate the profitability andcomparable advantage.